It’s storm season in Australia. Rain, cyclones and hail are all possible at this time of year. When we hear the thunder and lightning our thoughts may turn to our homes, and the possible damage caused by flooding or falling trees. But what about your fleet? Whether you own or lease your fleet, storm damage is something that will cause issues at the end of the vehicle’s life if not identified and recorded at the time of the storm. In December two massive hail storms hit Sydney. Though they were severe and caused a lot of damage, they were isolated and only impacted several suburbs on either side of the city. If you haven’t done a damage audit of your Sydney based vehicles yet, you could be in for a surprise when its time to sell cars at the end of their life. This week in Townsville there are floods damaging hundreds of homes. And potentially many fleet and novated lease vehicles. 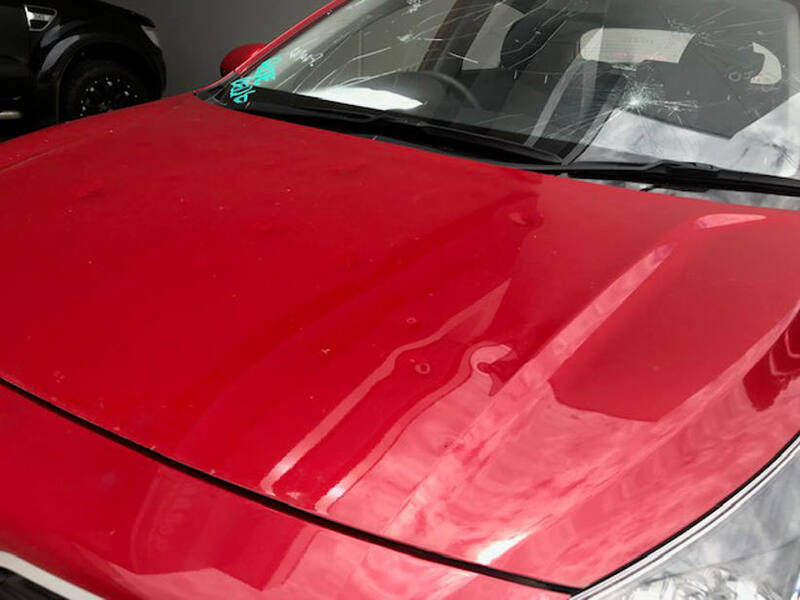 FAN spoke to Brendon Green, General Manager at Pickles Auctions, to find out how common it is to find hail damage at the of a lease. “Throughout 2018, we found that less than 3% of vehicles were returned by our fleet management vendors with hail damage” says Green. “In some cases, the driver may not have even been aware that the vehicle had sustained hail damage as it could be very fine. In some situations it’s that fine, it is only detected through the detailing process or in a very well-lit area” confirms Green. “In other cases, the damage is quite obvious and it would appear the customer has not made an insurance claim. As a rule though, ex fleet vehicles if returned with hail damage, the damage is minimal. “Our inspectors still need identify all panels that have sustained damage and photograph for the lessor to discuss further with the lessee. In addition, we need to make sure that the damage is clearly identified for the potential buyer and is listed in the online condition report. Pickles Auctions confirmed they see a spike in vehicles with hail damage being returned after a major hail event like Sydney experienced in December. This can happen because there’s not enough time, or resources, to repair the vehicles before its due to returned. “The costs to repair vehicles really depends upon the severity of the damage and the amount of panels impacted, generally the repair quotes range from $1,500 to $4,000 for a typically fleet asset” states Green. “The impact on selling price is probably inline, but it is really in the eye of the beholder. Some private buyers simply won’t bid on vehicles with hail damage, others don’t mind as the price will be lower than other comparable vehicles being offered. “Trade buyers know what their local repairers will charge them back at the yard and have more confidence to purchase light hail damaged vehicles. “Overall, the impact of minor hail damage is significant on resale prices but not compared to fleet vehicles that are written off by insurance companies under a hail insurance claim. Ex Fleet vehicles sold in our major hail damage sale events usually sell for 55-60% of their pre-hail damage value in states outside of NSW and lower again in NSW due to specific written off vehicle legislation preventing these vehicles from ever being reregistered in Australia.